Four months ago I became the mother of a beautiful, mischievous, sweet baby girl. She’s nothing I expected and so much more than I dared to hope. I did my best to prepare for her arrival, but I was still caught off guard by the whole ordeal. Everyone talks about explosive diapers and projectile spit-up, but they tend to overlook some pretty critical facts. 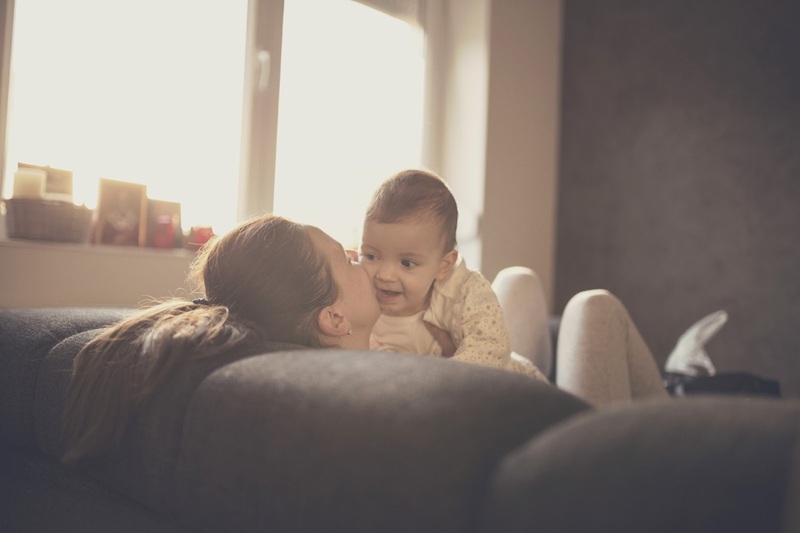 Here’s five things I wish I knew before becoming a first-time mom (and a few ways to stand in solidarity with fellow moms who, like me, need a helping hand). 1. Labour feels like it’s killing you, but you don’t die. Before giving birth, my husband and I attended “Birthing from Within” classes. Sound hokey? While there was a fair amount of chanting, visualizing, and pastel pencil drawing, there were also very practical exercises through which I learned natural pain-coping techniques. And they worked pretty well...for the first 15 hours of labour. But then I had to push. For three hours. And I thought I would die. I didn’t die! And my baby girl didn’t die, either. She came out perfect. But I wish someone had told me that in Canada, while a labouring mom might genuinely feel that she’s dying, the doctors don’t let that happen. 2. It’s not always in your control to breastfeed, even if you really, really want to. “Breast is best!” they say. Breastfeeding is nutritious, natural, and free! Why do anything else? When I was pregnant, I was confident that it had to be pretty easy, too. But then I had a baby of my own. And she had a tongue tie. The tongue-tie made it difficult for her to breastfeed. Within a few days after her birth I was in excruciating pain and she couldn’t get the milk transfer she needed. She stopped gaining weight. My anxiety levels shot through the roof. Why couldn’t I do this? “Breast is best!” so why is it so hard? I felt like a failure. We switched her to a bottle and supplemented with formula. Immediately, she started sleeping better and gaining weight. We took her to a specialist to get her tongue-tie clipped. Within just one week of the procedure, she was exclusively breastfeeding and continuing to gain weight. It took multiple visits with two midwives, a lactation consultant, a nurse, and the intervention of a specialist before I could successfully breastfeed my daughter. Breast may be best, but breastfeeding is not always in mom’s control. 3. Not every woman recovers after birth like Kate Middleton. I imagined myself power-walking with the stroller, lifting weights at my gym, and being the envy of every other new mom. What a shock my postpartum recovery turned out to be! I did, indeed, lose my pregnancy weight, but not because I was awesome like Kate Middleton. Rather, I got a stomach ulcer right after giving birth which made me so sick I couldn’t eat for six weeks...or hardly hold my baby. Sure, I lost a lot of weight, but I was absolutely miserable and missed out on the early weeks of bonding with my daughter. And due to continuing postpartum recovery, I can’t lift anything heavier than my baby. I see a physiotherapist once a month and take daily prescription medication. After giving birth to my absolutely healthy daughter, I now realize that I will never “get back” my pre-pregnancy body. Becoming a mother changes each woman in different ways, and that’s okay. Because everytime I see her smile, I know the changes are worth it. 4. Pregnancy cravings don’t stop after birth. Most of the time I’m a potato chips and popcorn girl, but during my third trimester, I craved sugar like never before: cake, cookies, ice cream, chocolate, candy, brownies, ice cream, pie, fudge, hot cocoa, and, uh, did I mention ice cream? Never have I eaten so much sugar. But, I thought, it’s only for a few weeks, and after I give birth I’ll be back to my normal eating habits. But then new-mom sleep deprivation took hold. 5. Nothing, nothing, can compare to the first moment you hold your baby. I suppose it’s not fair to say I wish I knew what it would be like to hold my darling girl for the first time because nothing can prepare a person for that feeling. 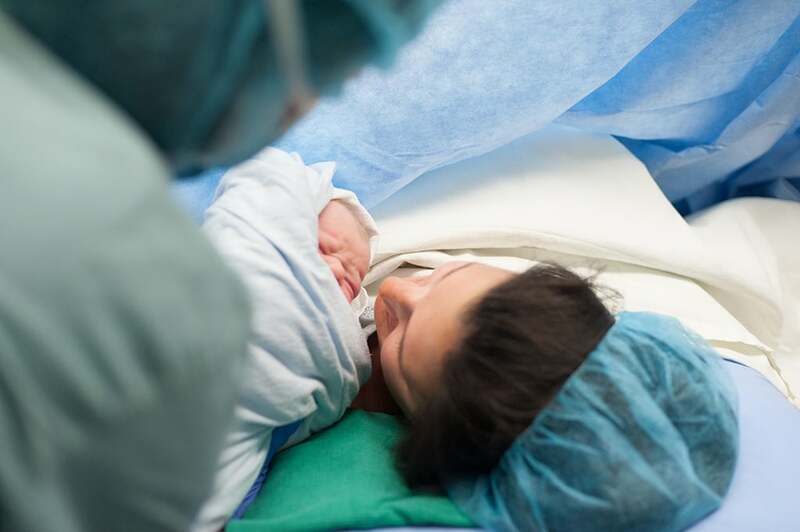 When they laid her on my chest and she looked up at me as if to say, “Mom, what’s happening?” my heart broke with an excruciating joy unlike any I have felt before, or since. All those months carrying her in my womb, all those hours labouring to bring her forth, all the hoping, the dreaming, the imagining - suddenly embodied and laying on my chest! I’ll never forget that sacred moment, the moment my daughter made me a mother. Making a difference for other moms. In December, I joined the ranks of millions of moms across the world. And I believe, more than ever, that we have to stick together, to advocate for each other. I had a rough start becoming a mom, and I often wonder what my life would look like now if I didn’t live in such a supportive country. In Canada, we’re privileged to have access to doctors and medicine and nutritious food. This Mother’s Day, let’s share what we have with moms in developing communities who are courageously doing it all without the supports we can so easily take for granted. By choosing to give my own mom “Chubby Cheeks’ on May 8, I can stand in solidarity with other moms like me who need help with breastfeeding and supplementing their babies’ diets. I encourage you to consider giving medical insurance, fruit and veggie seeds, gardening tools, nurse scrubs, or chubby cheeks to your own mom as a way of reaching out to fellow mothers around the globe.